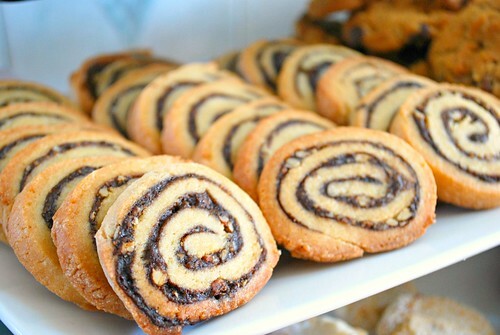 My mother in law loves to make rolled cookies that can be sliced and baked. I love her technique because the cookies always come out beautifully. I tend to lean towards drop cookies because I'm lazy lol. Nonetheless, these cookies not only look impressive, they taste delicious! Each bite has a bit of chocolate and walnuts set in a buttery cookie. 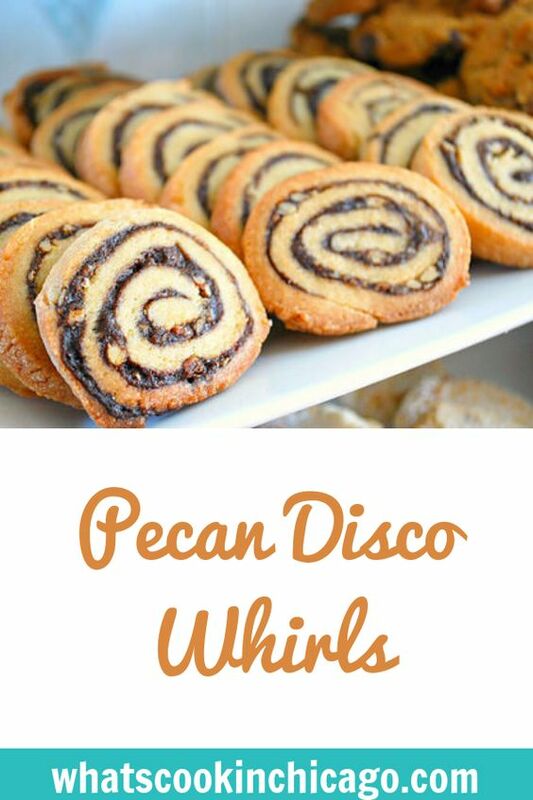 Feel free to use pecans or other nuts in place of walnuts for a different variation. In a large bowl, cream together butter (or margarine), sugar, egg and vanilla. In another large bowl, re-sift flour, slat and baking powder. Blend into creamed butter mixture to make a stiff dough. Chill dough for 1 hour for easier handling. Mix together the brown sugar, cocoa powder, and milk. Divide the chilled dough in half and roll out each half of chilled dough on a floured surface into a 10 inch square. Spread each dough with the cocoa mixture and sprinkle with chopped walnuts, leaving about 1/2 inch uncovered at opposite sides of dough. Roll up tightly, beginning at one side where dough is not spread with filling. Wrap in waxed paper and freeze until firm for several hours or overnight. Remove dough from freezer and allow it to come to room temperature. Preheat oven to 375; line baking sheet with parchment paper and lightly grease with cooking spray. Arrange oven rack set above the oven center. Bake cookies on the oven rack set above the oven center for 14-15 minutes, until edges are lightly browned.